This glossary contains definitions of the key terms in the subject area of Chinese Internal (movement) Arts (CIA) – Taijiquan, Qigong, Wushu, Traditional Chinese Medicine (TCM), Chinese philosophy (Daoism, Confucianism), Chinese Calligraphy and Feng Shui. All terms and key words will be defined and explained in simple language with the aim of establishing an online-dictionary for Chinese Internal (movement) Arts. The Glossary will evolve gradually. 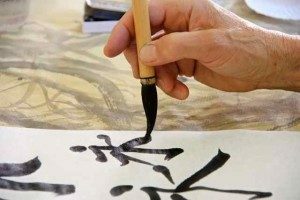 2) a video on the writing pattern of the corresponding Chinese characters (calligraphy) and a short explanation of their original meaning. 3) a more detailed description linking up to in-depth articles about central aspects of the general term. 4) Hints concerning further related reading and videos.